The Golf Club at Lansdowne offers 45 holes of championship golf designed by Robert Trent Jones, Jr., and Greg Norman. 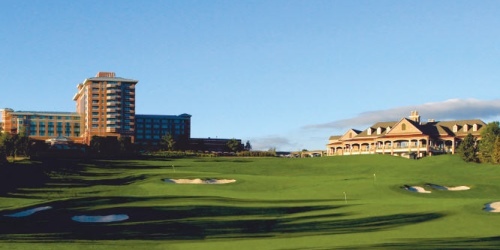 GolfStyles magazine ranked Lansdowne Resort as one of the Top 50 "Places to Play" in the Mid-Atlantic and Top 5 in the DC area. When calling 800-369-0922, please mention you saw this golf package on DCGolf.com. Lansdowne Resort reserves the right to change price and offer at anytime. Prices and offer are subject to change without notice. DCGolf.com is not responsible for errors posted in this golf package.